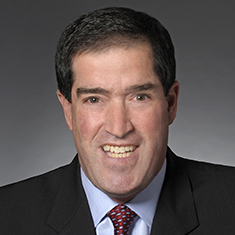 Lawrence D. Levin is co-head of the Chicago Securities and Public Company practice. Companies turn to Larry for assistance with securities registration, regulation and compliance issues, as well as transactional and general corporate matters. He represents issuers and investment banks in public and private offerings of debt and equity securities, and merger and acquisition transactions, and counsels publicly held clients concerning corporate governance matters, SEC reporting and disclosure issues and executive compensation related issues. Clients in a variety of industries, including manufacturing, education and financial services, turn to him for a wide range of corporate and business legal advice. Prior to entering law school, Larry worked as a certified public accountant at an international public accounting firm. Shown below is a selection of Lawrence’s engagements. Stockholder Meeting Advance Notice Protections—Do They Mean What You Think? Katten Partners Contribute to NIRI's “Standards of Practice for Investor Relations Vol. III – Disclosure"